Looking for something that will make your little gentleman’s outfit stand out? In search of something unique and special? 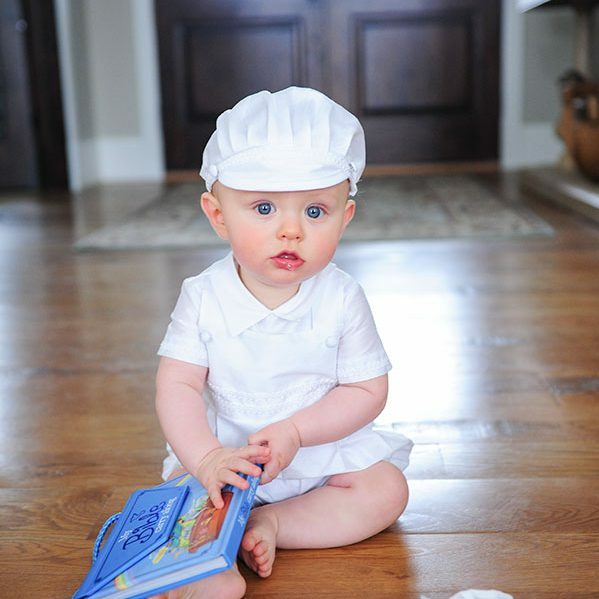 Take a look at this monogrammed boy’s Christening outfit! The James is a fun mock-overall style romper. 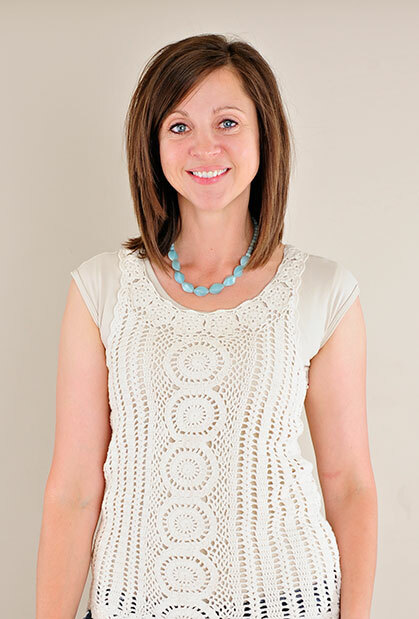 A simple braid trim and covered button details are masculine accents. Made from a rugged shantung fabric that is machine washable. 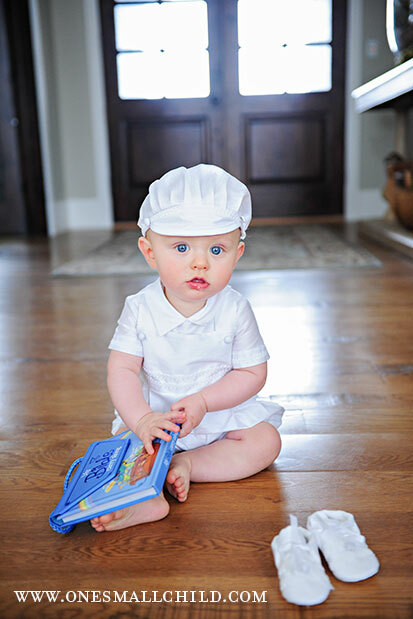 Our James outfit includes a sporty visor-beret hat. Add personalization to the chest of the romper, or the visor of the beret (or both)! Choose from baby’s name, monogram or single initial. We love the personal touch this adds to a special event outfit. Your little tiger is sure to cherish his special outfit for a lifetime! Complete the James outfit with our sleeveless bodysuit, triple roll socks and satin oxford shoes. Want more personalization? Add a simple silver name bracelet to his outfit! See another monogrammed boy’s Christening outfit here. Labor Day marks the end of summer, and we’re celebrating one last hurrah with a Pre-Labor Day Sale: take 20% off any of our christening gowns and outfits this week only! 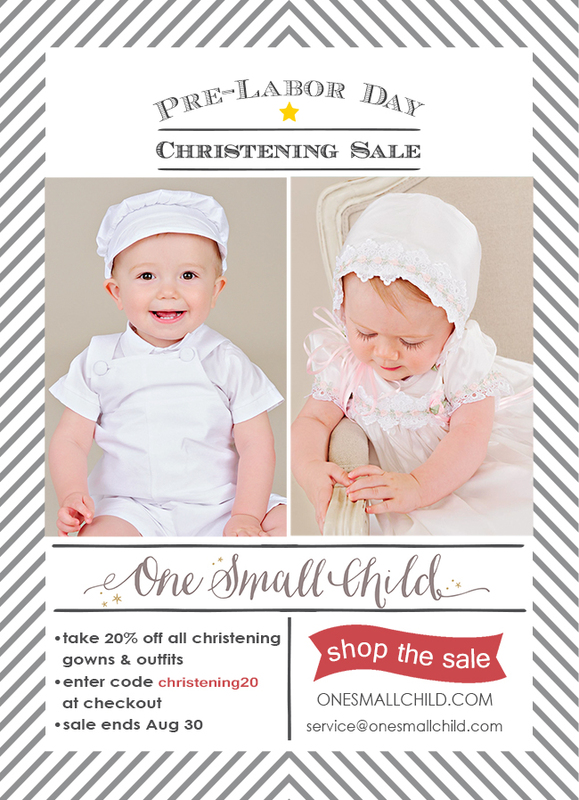 Don’t miss out on this rare opportunity to save on gorgeous outfits for your baby’s baptism or blessing…it will be a thing of the past after August 30! These darling baby moccasins are brand new on our site, and trust us, you definitely want a pair (or three) for your baby girl! The classic ballet flat design is feminine to the core, and a petite bow finishes these adorable girls baby shoes to perfection. Made from oh-so-soft leather, they’re heaven for baby’s tender tootsies, conforming to the shape of her foot for comfortable walking: no more teetering-baby-trying-to-walk-in-clunky-shoes going on here! Accessorize her special occasion dress, or wear them every day: our moccs hold up well to daily use. You can add her initial to the sole of one shoe for a fun, personal touch. Snag a pair in each of our five colors to match all her outfits! 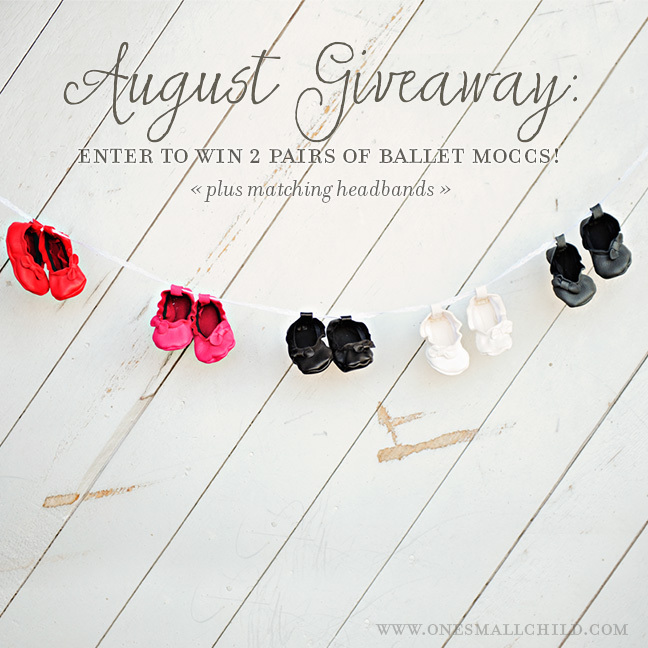 Bonus: these baby moccasins come with a complimentary matching headband. 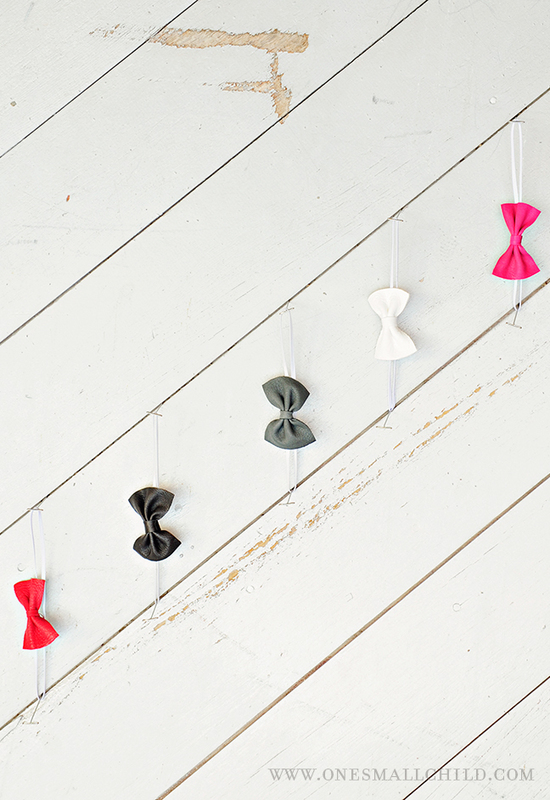 The perfect little leather bow sits atop a thin elastic band. Now her look is effortlessly complete! There’s nothing worse than a baby in an itchy outfit! Who could blame her for being cranky when her adorable outfit rubs against her tender skin? We have just what you need for a happy, trendy baby! Our shorty slip and bloomers set is the perfect accessory! The mid-thigh length slip features a criss-cross back. No tacky slip peeking out here! The adorable bloomers are decorated with a petite satin ribbon bow above the outer leg. They perfectly cover baby’s diaper with gentle elastic openings. Both are made from our soft, comfortable cotton. We’ve included our pretty twinkle flower headband in this 3-peice set. Our shorty slip and bloomers set is the perfect accessory for these dresses: Girls Holiday Dresses, Tallie Christening Dress, Strawberry Summer Dress. The last days of Summer are upon us, and today we’re sharing how we’ve managed the season with our kiddos: what’s worked, what’s been a challenge, and what we’re taking away from the experiences. Summer is slowly coming to an end. The days are getting shorter and the evenings cooler. Aren’t the changing seasons are always so bittersweet? Reflecting on our summer with Baby Girl makes me feel very nostalgic. We had the occasional trip to the swimming pool, managed to plant a garden and enjoyed a firework or two. For the most part, however, we survived the hot summer weather with carrot popsicles, porch rockers and evening stroller rides. I became a Popsicle addict this year. I live on those cool, refreshing treats! 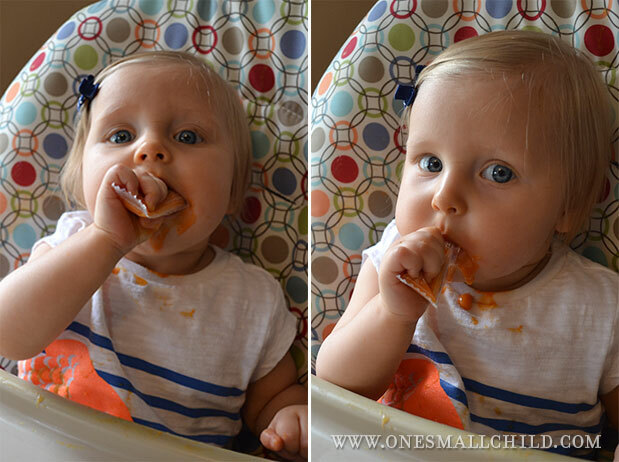 It was so exciting when the wee one turned 6 months, and got the green light for baby food. I was able to make home-made popsicles for her out of her baby foods. (The runnier ones worked the best.) These turned out to be a life saver! She absolutely loves her veggie pops! They were the perfect cool, healthy treat when the weather was so uncomfortably warm. 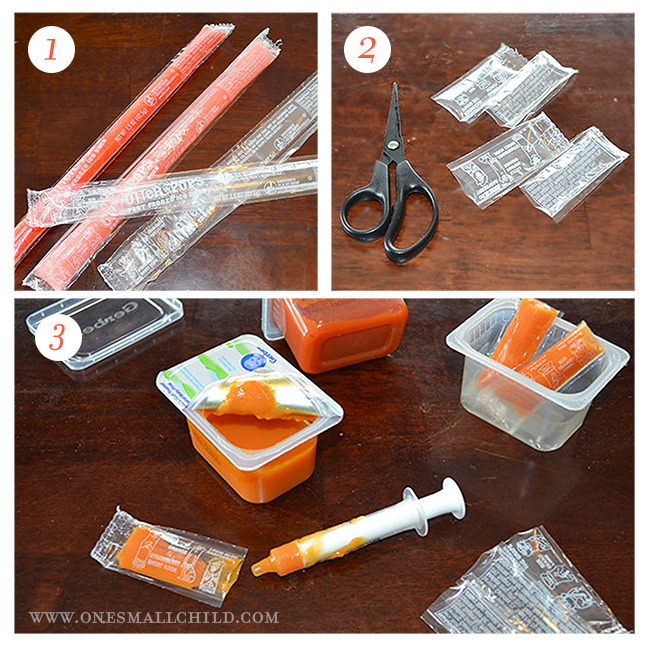 You could do this with anything for baby-fruits, veggies, breast-milk or formula. I’m looking forward to using these when she starts teething as well! Baby Girl and I are lucky to have friends that live close by. We went on several afternoon strolls together. Our little ones love their strollers! In the evenings, we like to sit as a family in the rocking chairs on the front porch. It’s nice to wind down basking in the warm summer breeze. Our daughter loves to watch the cars drive by. These baby-friendly activities got me through the season. How about you? What did you and your little one enjoy this summer? It has been a wonderful summer with our precious little one. We’re looking forward to the new fun that fall will bring. Leaf piles and apple cider, anyone? I know most moms may say that they are excited for their kids to go back to school, but I can honestly say that I am not happy about it…I will feel a certain sadness. I am going to miss my oldest (the only one going to school). She has been such a fun and helpful person to have home. I love having my children close around me. Our summer has consisted of lots of time with cousins, a quick camping trip and a few day trips. We also had swimming lessons, daily chores, gardening, piano lessons and lots of playing. I am a simple type of girl and we keep our life fairly simple. We do the necessities, and then we try to keep the day fairly open to whatever may come. One of our family reunions was held at a campground with a water park. 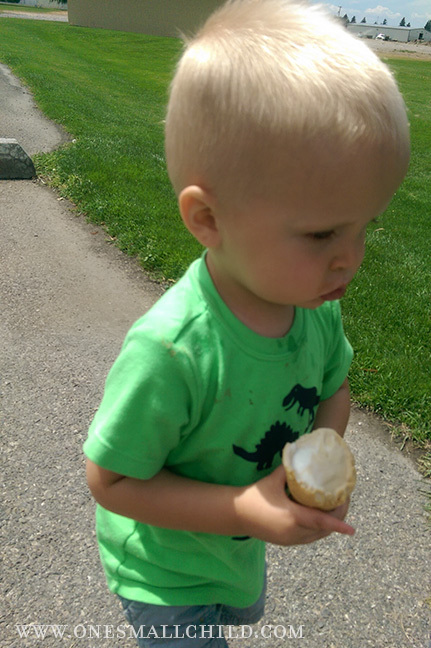 The campground was busy, with trucks and trailers coming in and out and with a 20-month old, you can imagine how busy I was trying to keep him safe. We also had to keep a close eye on him when we were swimming, as the first thing he did on that first afternoon was slip away at a full run and head straight for the deep end of the pool. We caught him a foot away from going in, boy those little legs can move fast. Needless to say the trip was exhausting and my husband and I were both glad to be home, where things are baby proof. It’s always fun to spend time with family during the summer and build those bonds. I think my kids feel like they have had a great summer building relationships with each other and their cousins. These will be the days they will remember about their childhood, and I think they will be good memories. I remember my childhood summers as all ‘kick-back & relax’. Ahh, the blissful ignorance of youth! Little did I know how tricky it was for my mom to juggle her out-of-school pack of kids with her responsibilities in her fledgling company. While my mind still envisions summer as slow and easy…that’s not exactly been the case. 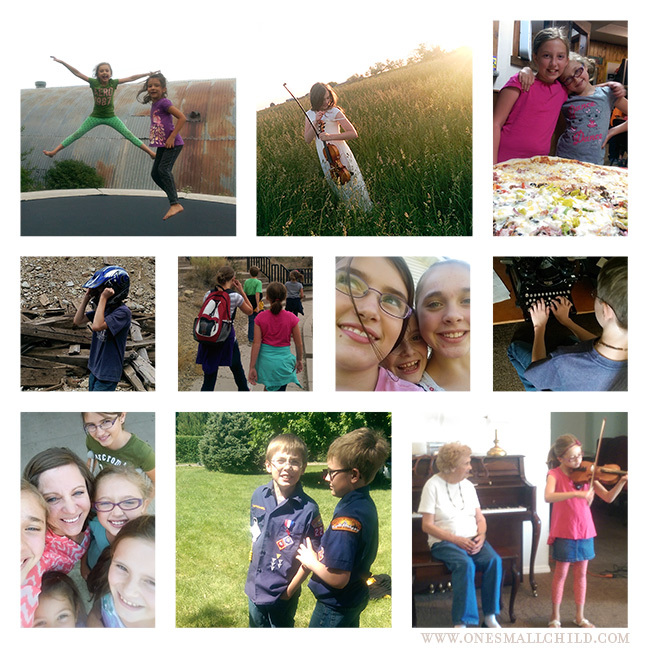 Our summer has been filled with music lessons, play dates, appointments, and a couple great weeks of camping. 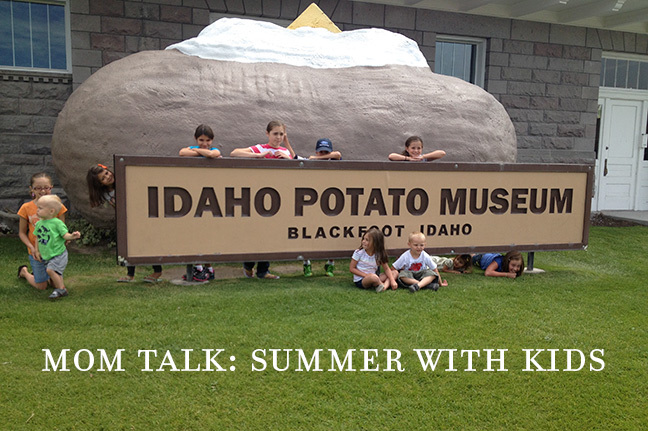 Sprinkled in with that has been lots of time with cousins, swimming, hiking, and a museum or two. What I’m currently loving most about summer with my elementary/middle schoolers is that I don’t have to follow behind them as closely as I did when they were toddlers. Everyone can buckle themselves into the car, get their own drinks of water, even make their own toast on busy mornings! That said, it’s still a herculean effort to get us all out the door on time for whatever activity we’re heading to. Also, I’m finding that it is a delicate balancing act to stay on top of technology use, make sure they’re performing their household duties, and still keep things as relaxed as possible. With all the hustle and bustle, I’ve deliberately tried to be in the moment: to remember that I’ll never have that moment back & appreciate who I’m with, where we’re at, what we’re doing, and enjoy the soft kiss of the warm breeze on my face. Please join us, and let us know the highs and lows of *your* Summer! We love the convenience of one-stop shopping. That’s why we love our Girls Christening Gowns collections. Today, we’re featuring the Isabella Collection. This is a gorgeous silk gown, and a personal favorite. It is so pretty in pictures, but just wait until you see it in person! The Isabella is a classic A-line design gown. A sumptuous silk sash ties in back. Puffed sleeves add a feminine touch. The bodice, and bonnet feature beaded lace. Silk ribbons and bows finish off this stunning design. The Isabella dress includes a cotton slip and the matching bonnet. Add a couple of our embroidery options to the slip for a keepsake that’s truly personal. Complete the Isabella Collection with the matching accessories! The Preslee blanket features the same beaded lace over silk as our Isabella gown, Preslee bib and Preslee slippers (below). A headband is less-formal, not to mention adorable! Our Preslee headband matches the Isabella gown flawlessly. Don’t forget to add a soft pima bodysuit, for baby’s ultimate comfort under her gown! Everything you’re looking for to make her special event sparkle! If you like the Isabella, we know you’ll love our Kate and Preslee Girls Christening Gowns! Each can be coordinated with the same accessories listed above for your own collection! 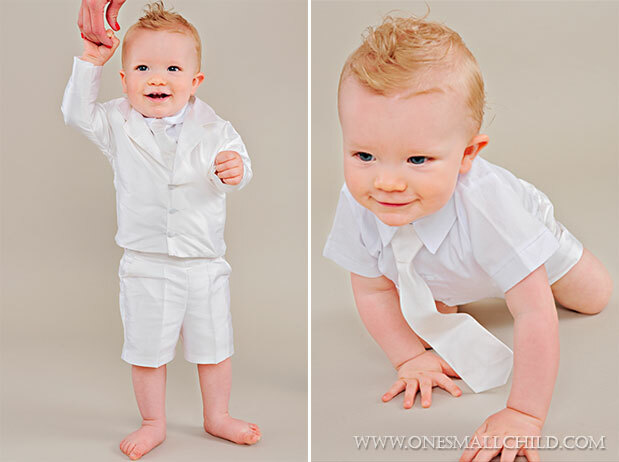 We love when little boys are all dressed up, and nothing beats our silk boys Christening suits! We’ve added the new Kingston to our collection of event outfits for boys. Let me tell you all about it! We started with a soft cotton bodyshirt. (A comfortable and classic addition to any little gentleman’s wardrobe.) 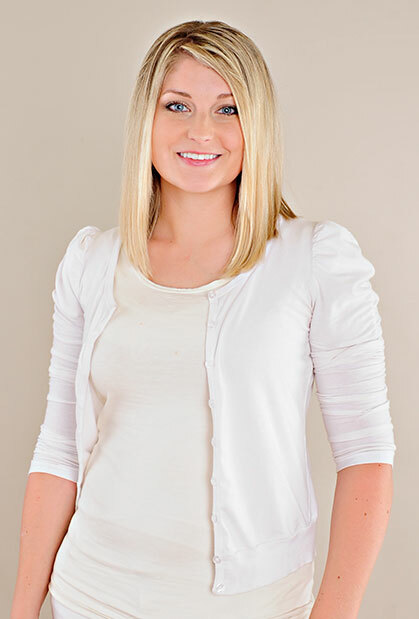 Then we added clean-cut silk dress shorts and an adorable three-button suit jacket. A classic tie and visor beret hat polish off his look. We love the layers of this outfit! They add tons of versatility, so you can change up his look to get just what you want! To complete the look we recommend: our pima sleeveless bodysuit, ribbed ankle socks, our silk booties for boys, our personalized name and date bib in silk and our silk blanket. We are excited to reintroduce our Jessa christening gown as well as the matching accessories so you can have the complete collection! 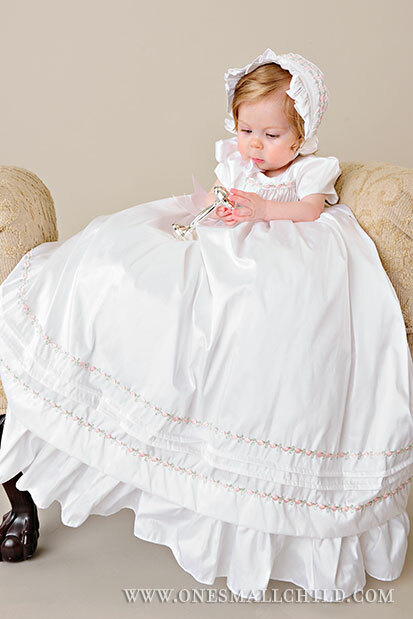 The Jessa is one of our best selling Christening gowns for girls, and you can see why! With its feminine ruffles and just the right touch of pink, it is simply perfect for your little girl. The Jessa gown is made of silk dupioni, a rich creamy color, which is beautiful on baby. The gown comes with a cotton slip, and bonnet. If a bonnet isn’t your thing, you can purchase the Jessa headband, which matches perfectly. We also have a blanket and shoes that are made to match the Jessa gown with the soft pink floral trim and silk dupioni. 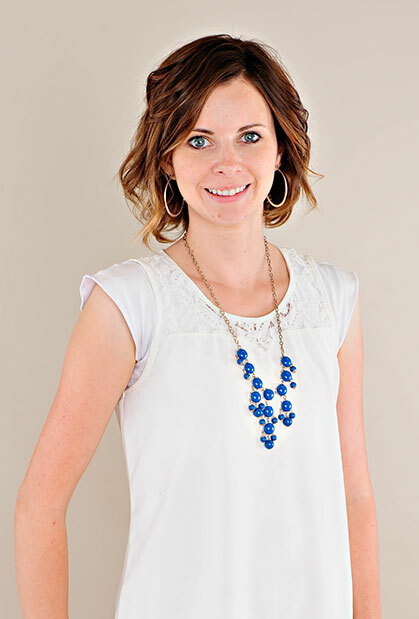 For those that would rather not have pink, we also have the Jessa in white, just select white in the drop down menu. 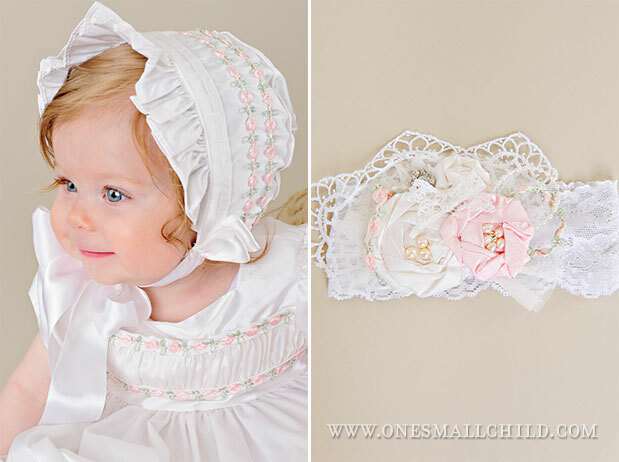 Remember our post from last week about personalizing your christening outfit or gown? Well, the Jessa gown can be personalized, so it can become a keepsake for your little one. 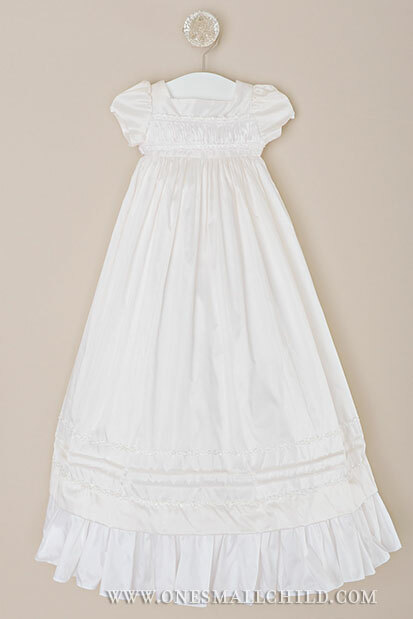 See more Christening gowns for girls from One Small Child! 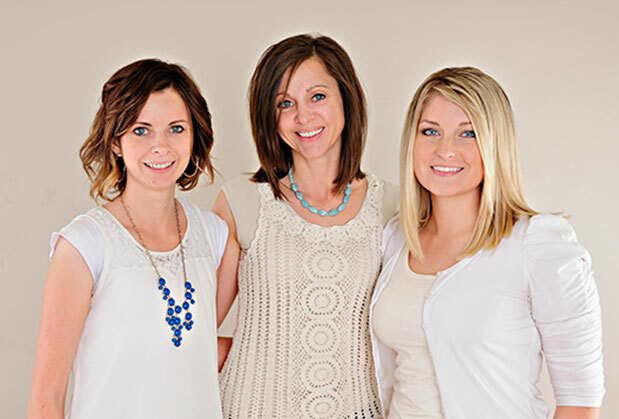 There are three of us bloggers here at One Small Child, and like many of you, we are wearing the multi-tasking hats of mom and working woman. We are each in different stages of motherhood: Samantha is just starting out with her first little girl, now 6 months old. Katy has two spunky toddler boys (plus a darling tween girl), and Audrey is living smack in the middle of the tween zone. We regularly meet together as a team to discuss business affairs, and invariably, lots of ‘mom talk’ gets sprinkled into our conversation. Each of us is highly committed to our families, and we are all learning the art of motherhood. We believe that one of the best ways to become a better mother is to share ideas with other mothers. It’s best not to re-invent the wheel, right? We learn so much from others who have been there before, and sometimes we just need a fresh perspective. With all this in mind, we really wanted to share our ‘mom talk’ with all you mothers out there. We hope that you’ll join in, too! With that, we’d like to introduce ourselves and share with you what we’re learning from our current stages of motherhood. I’ve just started my long-awaited motherhood journey, and I love my baby girl dearly! So many feelings–unconditional love, joy and intimidation–have lingered since she arrived. Motherhood has definitely proved to be a lot different from what I expected! It is tough and a joy, beauty and boogers, all wrapped into one! I’ve come to rely (again) on my own mother for advice and support. The more I learn, the more I realize how much I don’t know! I’m learning to follow that ‘mom instinct’ that fortunately guides us every once in a while. It is such a learning curve, caring for a baby! Sometimes it’s hard to know what to do and what not to do. I’ve found that my gut feeling is usually right. My little family is working hard at making sure things don’t come before our time together. Developing routines that enable us to spend quality time together, while still accomplishing our commitments is definitely a balancing act! This is a tough transition, but we’re determined! One of my favorite things to do is watch my little one while she goes about her play. Everything is so new and wonderful in her observant little eyes. I cherish the moments that I take time to live in! How excited I am to keep growing as a mother, as my baby grows as well. Hi, I am Katy and I am the mother of 3 little miracles. My story is unique in the fact that my family grew in ways I never imagined, but wouldn’t trade for the world. I am the mother to a 10 year old daughter, two boys, a 4 year old and 20 month old. My 10 year old is my biological daughter and my boys came to us through the miracle of adoption. As you can imagine I am one very busy mama. In my current stage of motherhood I am overwhelmingly grateful. After the birth of my oldest daughter we came to the realization that we may not have any more children. But through the miracle of adoption our family has grown exponentially. What a miracle! I have learned not to take these moments for granted, for they almost didn’t happen. I had always wanted a big family and to see my dream come true through a birth mother who placed her trust in me and my husband to give her children the family that she desired them to have is a very humbling experience and I want to do the best that I can. I have learned to calm down and enjoy the noise and all the craziness that comes with these little ones. It goes by super fast. While my job at work is important, I never want my children to feel that it was more important than them. I try hard to find a good balance and to not over commit to other projects or people, that it is okay to say “no” when needed. These are the days to let go of the extra and focus on the day to day with my children. I am Mom to three kiddos, ages 8, 10 and 12 (girl, boy, girl), but everyone else calls me Audrey. I love so much about the current stage I’m in with my trio of tweens! They keep me just as busy now as they did when they were tiny(maybe even more so), but I’m truly enjoying the experience of helping them develop their talents and interests as they continue to learn and grow. It’s amazing to me how each is living true to the personality they were born with. I think the lesson I’m learning most from motherhood right now is the need to slow down and l-i-s-t-e-n. My little family is blessed with many opportunities to work and perform and contribute, and with that comes a lot of distraction as we rush from one place to another. Life is busy, it just is. We’re all running at full steam all day (at least at my house). In all honesty, I’ve heard at least two of my children ask me to “just listen” in the last twelve hours. Sometimes it makes me sad that it’s so difficult to learn this lesson. But I’m glad for the chance to keep trying, and so I do! We’d love to hear your thoughts: what are you learning from motherhood?